Watercress is usually pretty pricey to purchase, but every now and then, it’s a real treat to have and to serve for guests. Because of the potatoes, this can become a pretty thick soup. 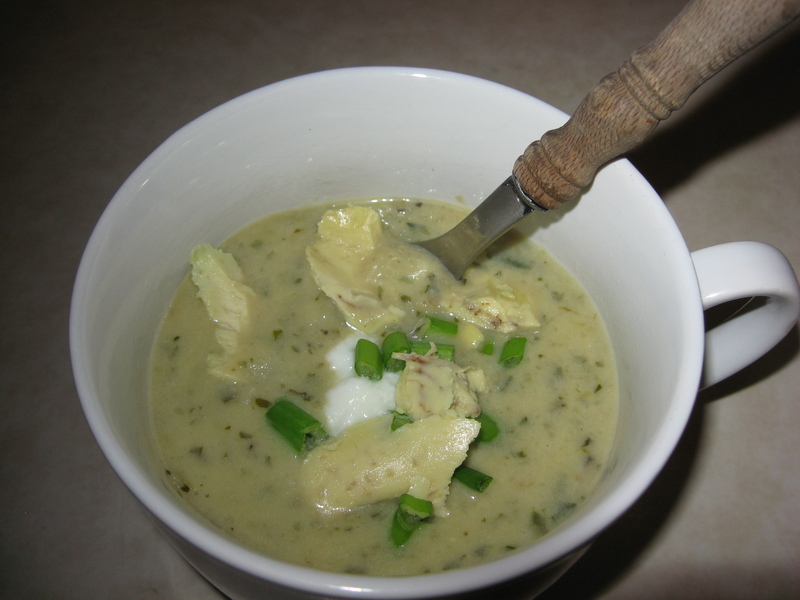 If you wish a thinner consistency, cut down on the dairy and make up for the amount in the stock. All in all, I really like this soup because of the unique taste of watercress. As well, it’s also good cold. Place the butter in a large, deep saucepan and turn the heat to medium. Add the chopped potatoes and onion. Cover and cook over medium-low heat, stirring occasionally, until the potatoes and onion are nearly tender, about 15 minutes. 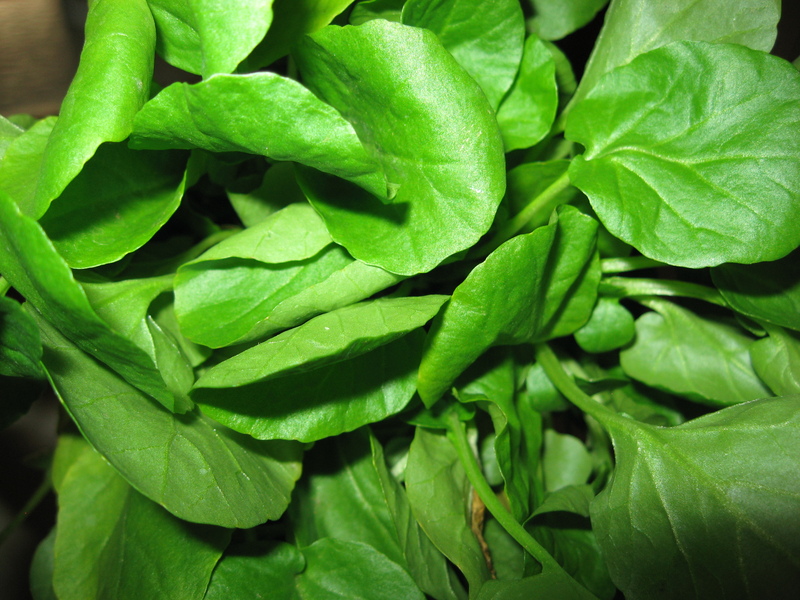 Then add the coarsely chopped watercress and cook, stirring, until it’s wilted—about 5 minutes. Add the stock, bring ALMOST to a boil, lower the heat and cook briefly till the watercress is tender ( this won’t take very long). Put through a sieve or food mill, or carefully puree in a blender. Return to heat and add the half-and-half or milk. DO NOT BOIL. Season with S&P. Remember, you can add more stock and less cream/milk and don’t let the mixture come to a boil. I like to top mine with a bit of sour cream or yogurt, slivered green onion tops and avocados. Well—you get the idea.